This isn't really a knackered computer at all, in fact I still use it occasionally. It only packs a 166MHz Pentium MMX processor and 64MB of RAM (upgraded from the original 32MB) but it still does sterling service. The machine is barely larger than a VHS video cassette and only weighs about 1kg, so it's one of the most portable fully-functional PC-compatibles ever made. 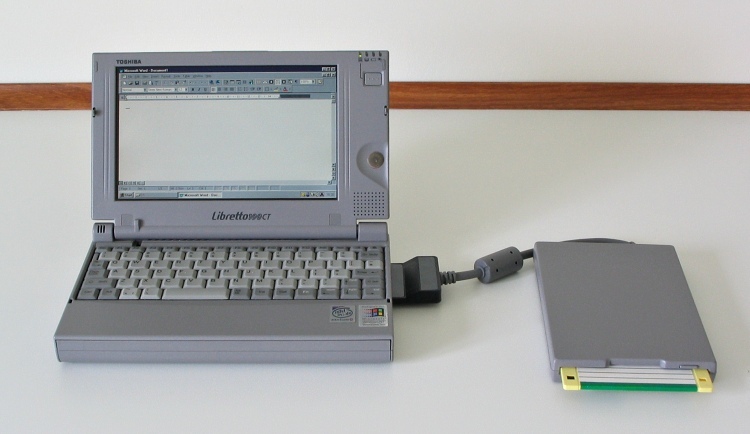 In the above picture it can be seen connected to its PCMCIA floppy drive. 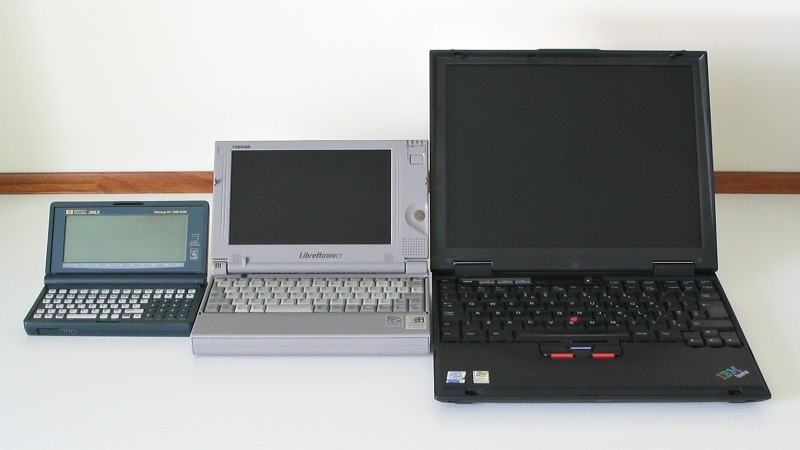 The picture below shows the relative sizes of (left to right): the HP 200LX; the Toshiba Libretto 100CT; and what passes for an "ultra-portable" in most manufacturers' ranges, a sub-2kg machine with a 12" screen.